THE DUBLIN CITY Triathlon will take place in the Phoenix Park on August 24. Participants can look forward to a good time, physical exhilaration, a massive sense of achievement, and THIS sweet medal at the finish line. The new medal that will be introduced to this year’s race is just too cool to ignore. 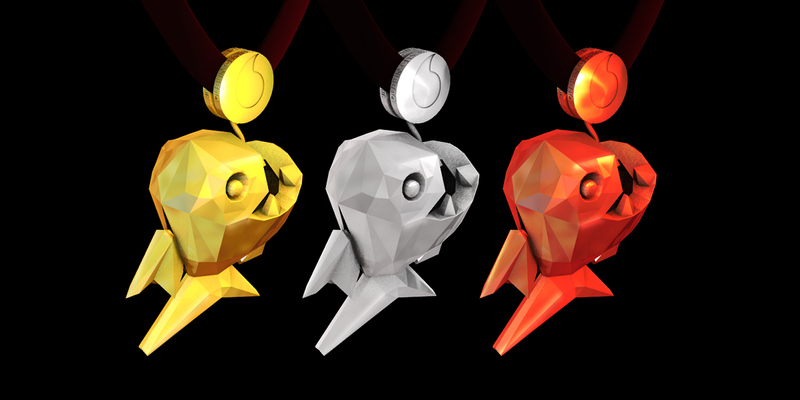 The medal, designed by Ryan Paetzold of Chaos Design Order is an iteration of the Piranha shape from Piranha Triathlon Club. Paetzold told DailyEdge.ie that the final medal will be manufactured from a zinc alloy. While this is the same as most medals out there, this medal didn’t require having a sample sent back from China for approval as it had been updated and 3D printed in house, so any design changes could be done within a smaller time frame. The photos above are of the samples in China, but held enough information to approve or reject the samples as the physical model was also in Dublin. We’d almost considering doing it for these alone… almost. Email “The new Dublin City Triathlon medals are stupidly cool”. Feedback on “The new Dublin City Triathlon medals are stupidly cool”.